You won’t be able to use WebMD’s Watch app to frantically look up symptoms and diagnose your mysterious ailments, and frankly, it’s for the best. 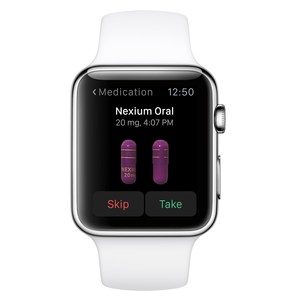 The online medical encyclopedia’s Watch app is designed to nudge you with medication reminders when it’s time to dose up. After you put in your medication regimine in WebMD’s iOS app, you’ll be able to view your dosing schedule and instructions on whether your pills must be taken with food. So far, so good. The app goes beyond that basic info with notifications when it’s time to take your meds. The notification screen offers four options: take it, skip it, snooze, or dismiss the medication reminder altogether. The WebMD app’s Glance view will show your day’s medication schedule and whether you’ve taken or skipped any doses. The skin is the largest organ on the body, and we usually don’t pay it much attention unless things start to look real weird. ModiFace’s new Skin app for the Watch encourages you to monitor and take note of your skin’s changing appearance—because neglecting it could be deadly. Skin uses your iPhone’s camera to scan parts of your skin that are of particular concern, like a mole or a dry patch, then shows you a preview of the scan on your Watch. The app also evaluates your patch of skin’s health based on redness, flakiness, and overall dryness. It certainly can’t diagnose you with cancer, but it does let you track changes in your skin’s appearance over time, which can raise red flags if a specific spot starts to look a little (or a lot) different. Instead of taking out your iPhone to alter the Linx’s settings, which can be a little obvious, now you can use the Watch to quickly toggle on wind noise reduction, adjust the hearing aids’ microphones to enhance speech, and customize noise filters for specific environments. The app also lets you geotag locations to trigger those filters if you know particular places are noisier (or more quiet) than others. No one will ever know what you’re up to, and the quick access to settings will prevent you from missing a word. Clue already knows when you’re PMSing, when you’re ovulating, and every other symptom or mood you experience throughout the month, because you’ve given it that information. Now it’s right on your wrist. “We think it’s a pretty interesting platform for what we do because it’s this very intimate platform where you can get this very fast understanding of where you are in your cycle,” Tin said. Apple may have blinders on when it comes to periods, but Clue and other women’s health apps get the job done without HealthKit’s help. A slew of smart breathalyzers are currently on the market. They pair with your iPhone to tell you just how drunk you are. We’ve tested them before, and some are worth the money. But those blood-alcohol content testers might be worth even more if their results showed up on your wrist—then you really can’t escape the fact that you’ve had too many beers. 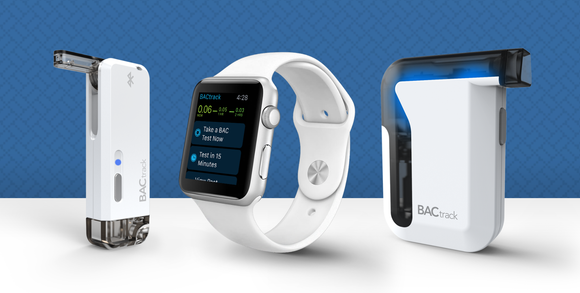 The new BACtrack app for Apple Watch pairs with both of BACtrack’s smart breathalyzers to let you start a BAC test without drunkenly digging for your phone. You can also set a reminder for the Watch to notify you 15 minutes after your last BAC test so you can test yourself again when the alcohol has disappeared from your mouth (which will give a wildly inaccurate reading). When you sober up, take a look at past readings to figure out the effect alcohol is having on your body. 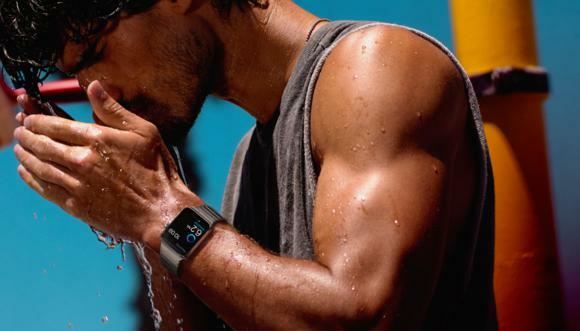 Developers are already using Apple Watch to deliver more than just basic health information, and they don’t even have access to the Watch’s sensors yet. Expect the next generation of health apps to give you even more of the data you need to take charge of your body. For now, you can get all of these apps in the Watch App Store, which launched Thursday.